Whoo hoo! Got a pressie in the mail today! 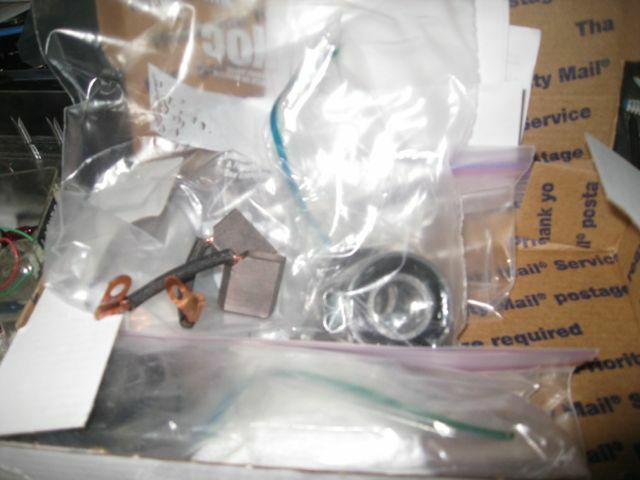 My generator rebuild kits! So, one of two things I need to have to get things squared away for Bror! I REALLY wasn’t expecting it THIS soon,because it took from the 24th to yesterday to get from Mercersburg Pennsylvania to Montreal (about 600 miles)… So I was figuring another few days from Montreal to here… Nope, got into Montreal yesterday at about 1:30 pm, and was delivered to my door by 12:36 today (nearly 1900 miles! )… That’s a pretty impressive increase in speed once across the border! Approximately 3.5 miles an hour on the US side, versus approximately 85 miles an hour on the Canadian side! However, now things have to slow down again, as its “Meet the Teacher” night for LTBabe… no time for tractors tonight! This entry was posted in Bror, Restoration Plan Omega and tagged Bror, Delco Remy Generator. Bookmark the permalink.